Why adapt to climate change? What does adaptation look like? 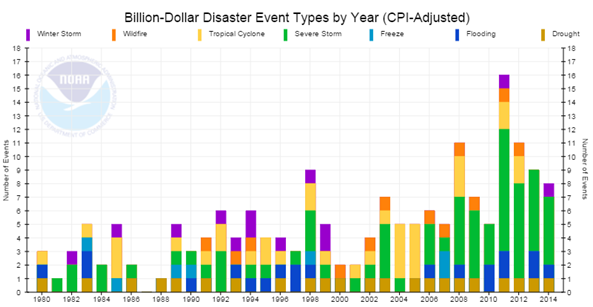 It is important to note when looking at figures like these is that this isn’t showing exclusively that weather events are getting more severe—but that their impacts are getting more severe, which is a function of both the severity/frequency of the weather event, but also the density and value of infrastructure over time. 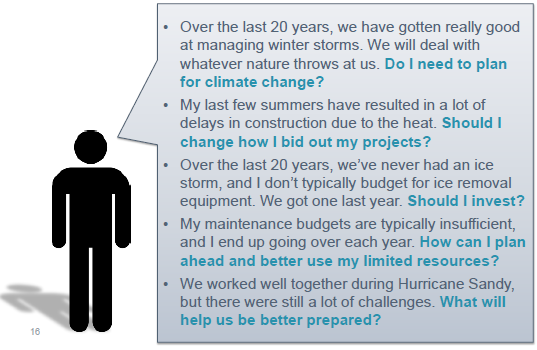 As development increases, there is an increased chance that there will be higher costs of storm events in later years. The bottom line on climate change is that for a long time, we were able to rely on what we knew about past climate in order to predict future climate. That paradigm no longer holds, and the past is no longer a reliable predictor of the future. 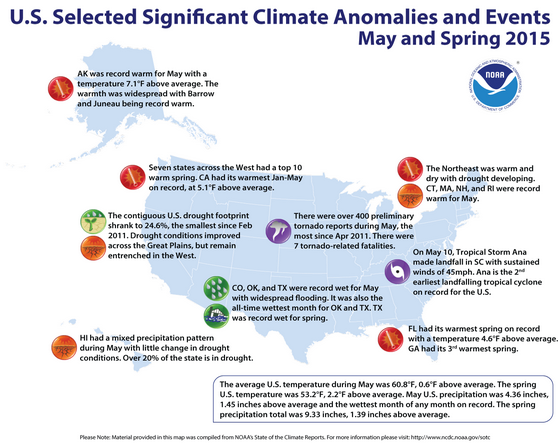 For example, the Southeast had its warmest spring on record, the Southwest had record wetness for spring, etc. 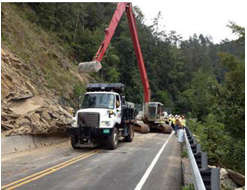 Landslide from heavy rain in August 2013. 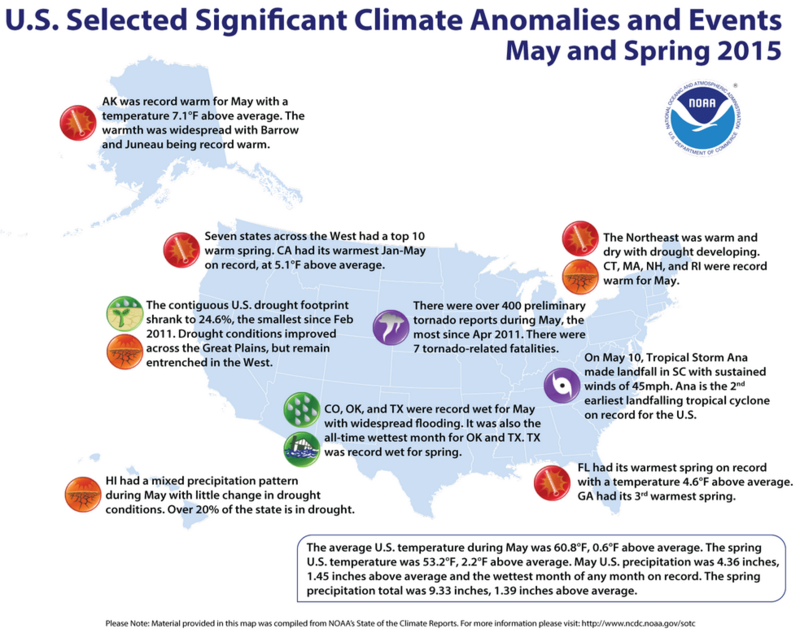 This chart shows a general example of how that works – of how shifts in climate can lead to shifts in weather. 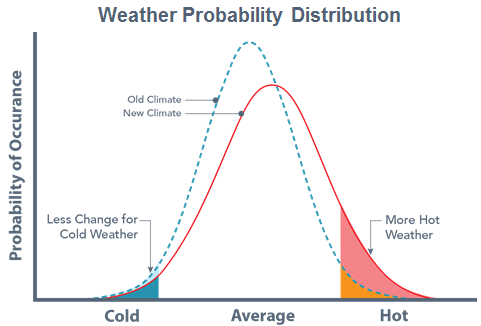 This curve shows a hypothetical climate—just the temperature element--where something happens to change the climate to widen the probability distribution for extremes and the mean shifts to the right (it gets generally hotter, on average). The effect of this change on weather, is a minimal change in cold extremes, but a substantial increase in hot extremes. 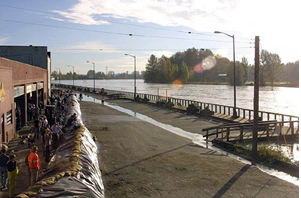 Projected climate changes pose a business risk for transportation agencies – they could cause unexpected costs, delays, declines in reliability, etc. In many areas, “wait and see” may be the right approach, but there may be other areas where we should be changing practices now. It is important to consider now which approaches are needed for which concerns. TSMO and maintenance workers as well as the DOT emergency responders with whom they coordinate are and will be the public face and the front-line of the response. 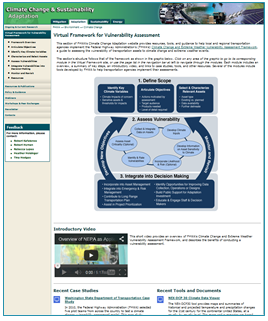 By not understanding the risk or not assessing the vulnerability of their operations, agencies could be caught off-guard by an unexpected event leading to significantly degraded capabilities when it is most needed. Continuing to operate in a “business as usual” way creates a greater risk for DOTs than taking some thoughtful, proactive steps now. This slide shows the types of questions that you as a decision-maker will have to consider and decide. There are many other types of similar questions and areas for consideration, such as training and workforce capabilities. The remainder of this presentation will give a taste for the types of answers—and approaches your agency can take to answer these types of questions. What Are Transportation Agencies Doing Thus Far? 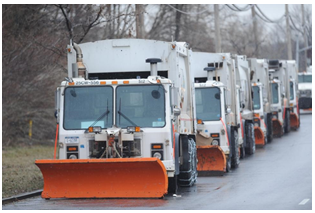 Some transportation agencies are already beginning to start to answer these types of questions. Alabama DOT is one example of how an agency is affected by extreme weather events. George Conner of ALDOT spoke at a 2013 AASHTO symposium on extreme weather events and explained that Alabama experiences a wide range of weather events that appear to be becoming more frequent. The weather event stresses are in conjunction with other stresses on the DOT, such as ever-increasing public expectations. 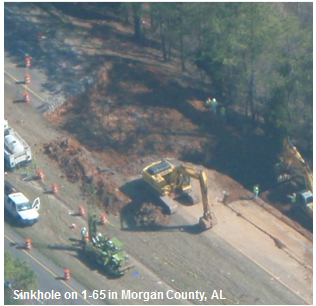 ALDOT's response to extreme weather events is diverting resources from regular operations and preventive maintenance. Source: Conner, G. 2013. 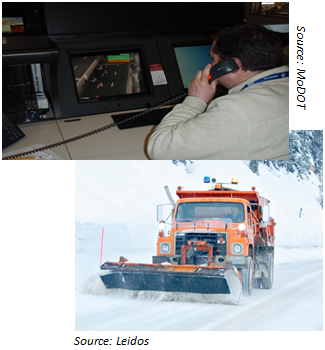 ALDOT Operations and Extreme Weather Events. Presentation at AASHTO 2013 Extreme Weather Events Symposium, May 22, 2013. Some agencies, like ALDOT, are adapting operations to cope with existing extreme weather conditions – and doing so without conducting formal vulnerability assessments or focusing on climate change. ALDOT has been bolstering their emergency management activities – creating a full-time EM position, improving intra-state coordination, and increasing recurring emergency management training at all levels. 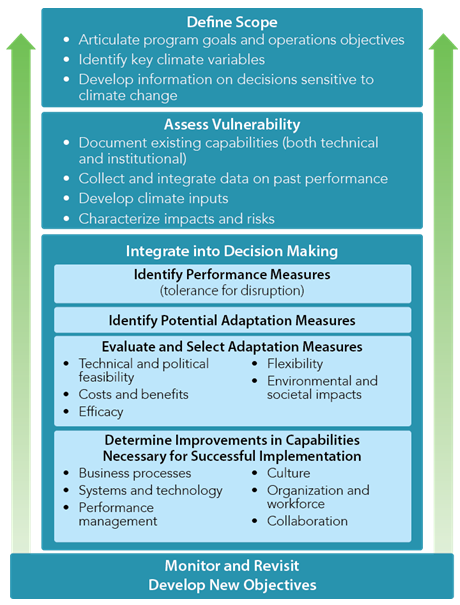 This slide shows some examples of short-term and medium-term adaptation strategies. What's Needed To Manage the Business Risk? 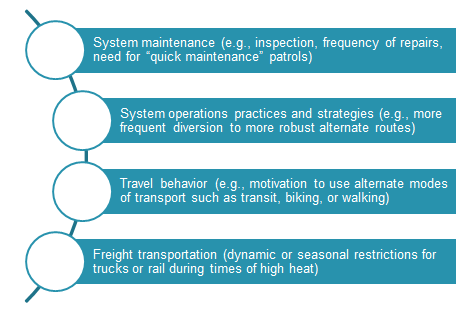 This slide provides some examples of the types of strategies that can be undertaken to begin to adapt (and which are explained in more detail in the FHWA guide). This slide provides additional examples of the types of strategies that can be undertaken to begin to adapt (and which are explained in more detail in the FHWA guide). 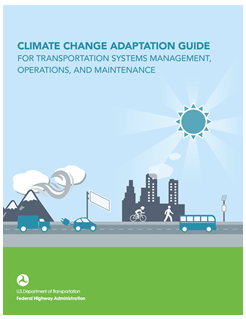 Guide developed to lead State/local DOTs and MPOs in adopting climate change adaptation strategies at the institutional, technical, and financial levels for their TSMO and maintenance programs. 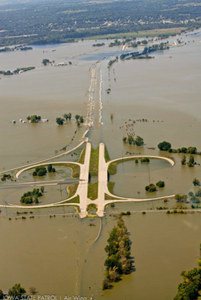 Additional information is also available on FHWA's Virtual Adaptation Framework, a website that houses numerous resources to help DOTs prepare for climate change – including from an infrastructure, rather than TSMO and maintenance, perspective.